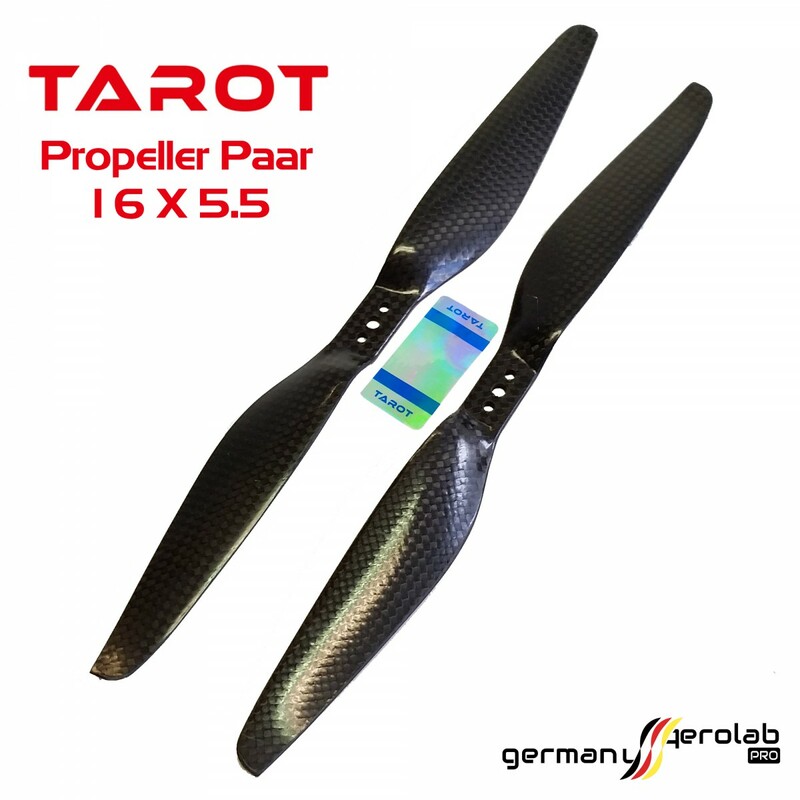 Propeller Paar (CW / CCW) "TAROT"
T-series of pure carbon negative pitch for high-end paddle, root with large tilt angle to enhance the overall strength, enhance the paddle. 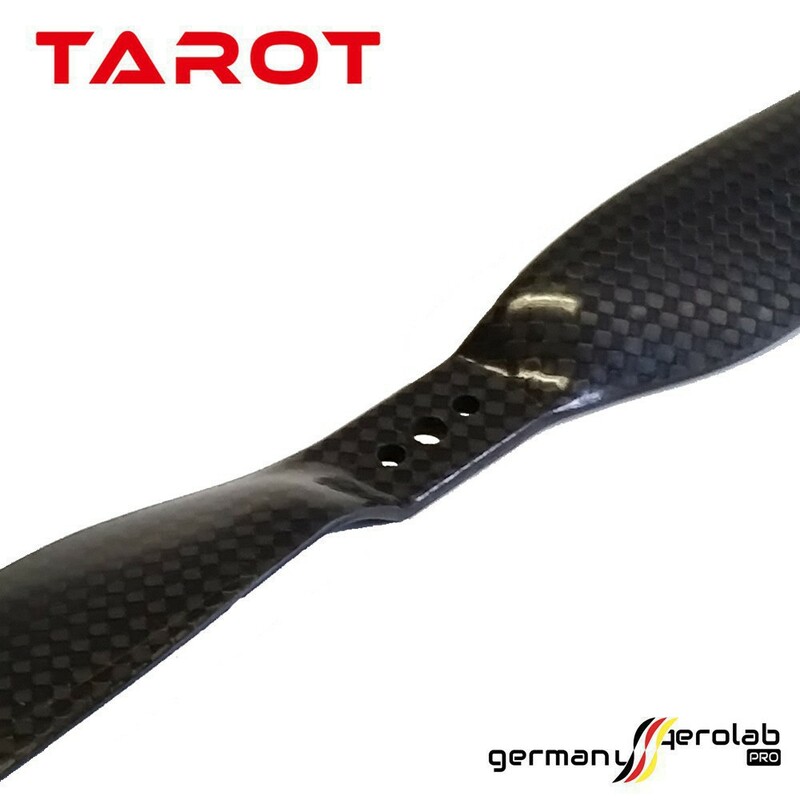 The amount of carbon woven cloth is 100% imported from Dongli 3K pure carbon fiber,by high temperature high pressure precast precision machining, hardness is higher than that of conventional products market, each pair of all carbon fiber and propeller were treated by artificial balancing static and dynamic balance, TAROT optimizes the efficiency series full carbon fiber andpropeller and wing shape stability load. 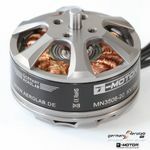 Es ist noch keine Bewertung für 1 Paar TAROT 16x5.5 Carbon Propeller abgegeben worden.